Donors Pledge $4.4 Billion in Aid for Syria, Neighboring Countries. 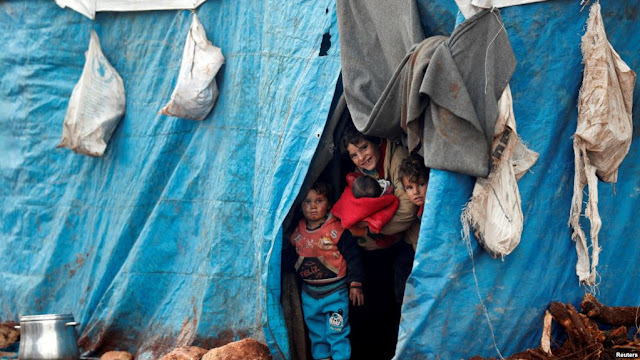 International donors will pledge $4.4 billion dollars in humanitarian aid for Syria and neighboring countries that have sheltered refugees this year, a senior U.N. official says. But the pledges are significantly less than the more than $7 billion the United Nations was seeking. U.N. Office for the Coordination of Humanitarian Affairs chief Mark Lowcock announced the pledges Wednesday at an international donor conference in Brussels. Lowcock said additional pledges of $3.3 billion for 2019 are expected, but more money is needed for humanitarian purposes in Syria and to assist refugees in nearby countries. "The key issue is to make sure ... priority is given to those in most need and those most vulnerable," said Lowcock, noting that Britain and Germany made the largest pledges. Some 450,000 people have been killed in Syria since President Bashar al-Assad's 2011 crackdown on protesters calling for his ouster. The United Nations says more than 13 million Syrians need humanitarian aid and about one-fourth of them have been displaced in neighboring countries such as Jordan, Lebanon and Turkey. The United Nations says more than 700,000 people have been displaced this year as al-Assad has escalated attacks against rebel forces, intensifying the humanitarian crisis. The European Union, which hosted the conference, had hoped the meeting of more than 80 countries, aid organizations and agencies would stimulate stalled U.N. peace initiatives, in addition to raising humanitarian aid.